University of North Carolina Press, 9780807848296, 480pp. 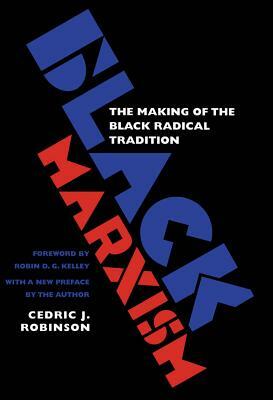 In this ambitious work, first published in 1983, Cedric Robinson demonstrates that efforts to understand black people's history of resistance solely through the prism of Marxist theory are incomplete and inaccurate. Marxist analyses tend to presuppose European models of history and experience that downplay the significance of black people and black communities as agents of change and resistance. Black radicalism must be linked to the traditions of Africa and the unique experiences of blacks on western continents, Robinson argues, and any analyses of African American history need to acknowledge this. To illustrate his argument, Robinson traces the emergence of Marxist ideology in Europe, the resistance by blacks in historically oppressive environments, and the influence of both of these traditions on such important twentieth-century black radical thinkers as W. E. B. Du Bois, C. L. R. James, and Richard Wright.